ICE is incredibly thankful for all of the prayers and contributions to make this home a reality for 7 children! These children will have a place to study for schooling and live there with Christian supervision. 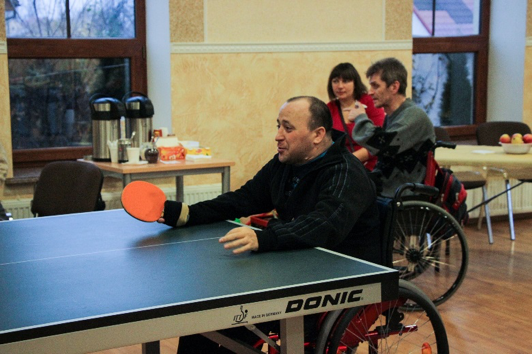 The Ukrainian ministry of people with disabilities, lead by Serhii and Natasha Bolchuk, had some wonderful events late in 2015 and many things to celebrate. 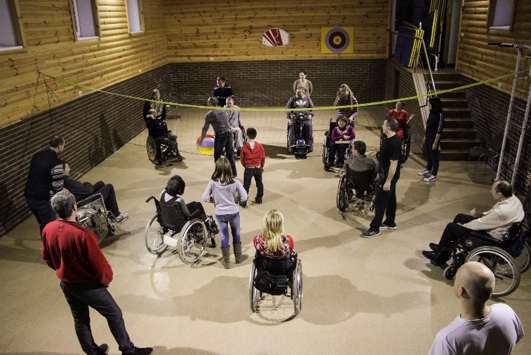 On November 17, 2015 the New Opportunities Club held a gathering where over 40 people with disabilities participated in sporting activities, such as volleyball, boccia and table tennis, and also enjoyed a meal together. On November 21, 2015 a seminar was held for 9 physical therapists and one neurologist on the topic of Rehabilitation for Patients with Spinal Cord Injuries. Physical therapy in the Ukraine is still new, and current modalities do not give people the expected results. 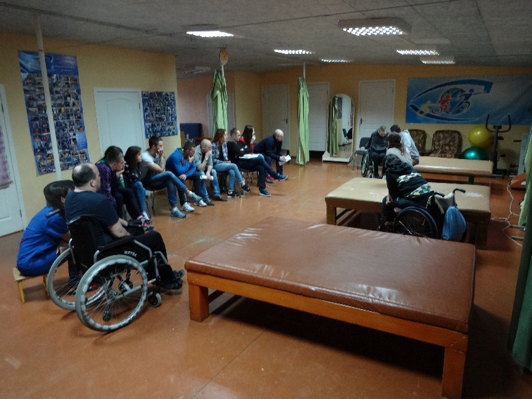 This group was thankful to God for the opportunity to share their knowledge so that others can provide valuable help to people with disabilities in their country. On December 6, 2015 Fimiam Church held a service dedicated to the 10 Year Anniversary of the ministry for people with disabilities. Everybody present heard and saw how God cares for people with disabilities through His Church. Groundbreaking for Mintung Children's Home! Below are some photos from the groundbreaking ceremony of the Mintung Children's Home in Myanmar! ICE is grateful for Paul and Barbara Robart who are faithful servants of the Lord. They visited the Biblical School of Theology in Southeast Asia in August of each year to teach the third and fourth year students there. They teach Bible classes, English, soul-winning and have been a great blessing to these students! - A Grief Share group that will be led by Paul at the Light and Life Seminary in Butuan, Philippines this week. There will be 13 sessions of study to fit into 5 days and 10 of the graduate students are dealing with the loss of loved ones. Pray that God will bring healing and blessing to them and to those they will minister to in the future. - Barbara is leading a bible study in the book of Daniel for the Light and Life Bible College students. - Paul will also be speaking at a chapel service at the Light and Life Bible College. ICE's newest project is to help complete a children's home in Hubli, India which is under the supervision of ICE ministry partner, Jesuratnum Buraga. When finished it will house 25 needy children. Please pray for this effort and consider contributing for the completion of it. 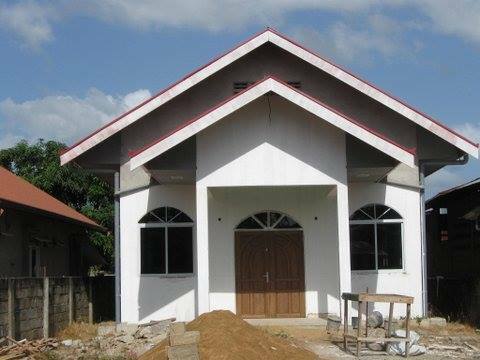 We praise God as the Suriname Worship Center nears completion! Since 2011 this worship center has been under construction. We plan to dedicate the church in November for the glory of the Lord. Your prayers and gifts have made this to become a reality and we are grateful to you!